Oh Hey, ponytail! You’re our go-to hairstyle for our bad hair days, whenever we get hot, our fave workout “do.” You’re our savior when we’re running late and have to throw some style together on the fly. We appreciate you for all those times. 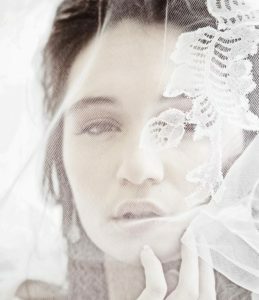 But oh how you’ve changed….now you’ve been beautifully elevated and polished into a new bridal trend! We’ve rounded up a bevy of gorgeous, inspiring, wedding-worthy ponytails to compliment any bridal vibe from romantic, to boho to uber-sophisticated. The Loose & Wavy Ponytail is the perfect compliment to a delicate, romantic wedding. Soft waves can be worn on the side, at the nape of your neck or even with a center part. Let strands of hair escape to highlight your face. Tuck in a beautiful hair accessory or some fresh flowers for even more beauty. 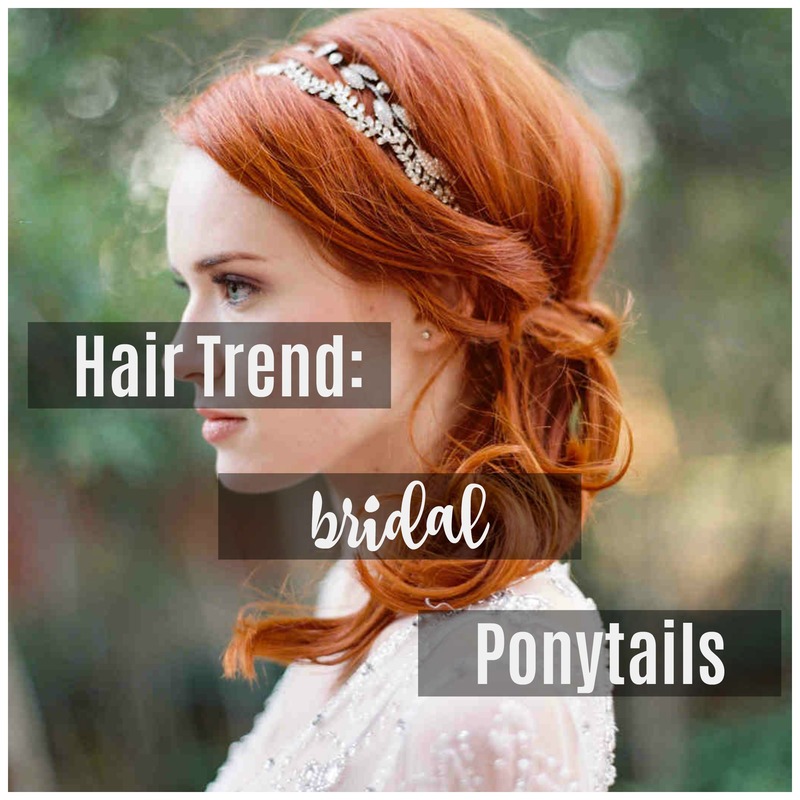 Loose & Wavy Ponytails work so well for outdoor ceremonies, whether it be on a beach, in a garden, or a barn. The perfect hairstyle to wear in a field of flowers as you marry the one who makes your heart sing. The Sleek & Smooth Ponytail is super glam, super straight, and very current. This style incorporates lots of product to ensure that not a hair escapes at your event. The Sleek Ponytail has hair pulled firmly into a tail, sometimes with a section of hair wrapped around for a stylish finish. We think this style fits for sophisticated weddings. A lower, side-parted Sleek & Smooth Ponytail imparts a fresh, simple, and clean look. 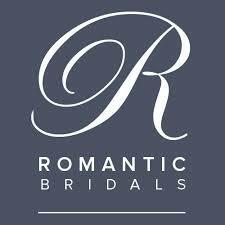 If the Sleek & Smooth Ponytail is good enough for the runway its good enough for your wedding day! 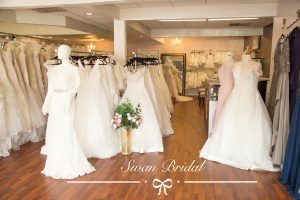 The Sweet & Side Swept Ponytail compliments wedding dresses with simple necklines, with beautiful illusion bodices and perfectly balances one-shouldered gowns. The side pony can be worn straight, wavy or curly. 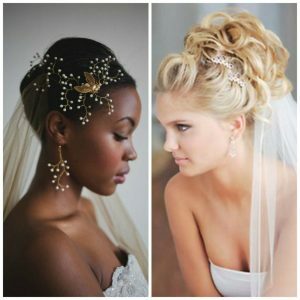 Of course, the side pony looks even better when paired with a beautiful bridal hair accessory! And it is just so darn charming! We love the addition of a few twists or a braid or two for a modern boho vibe. Add in a gorgeous bridal hair vine and you will rock your bridal pony! We love the voluminous, textured style of a tousled ponytail. This style looks “messy” but it is actually a carefully orchestrated combo of styling techniques, product, and accessories. This carefree style works well with boho, eclectic wedding day looks. We think the best hairstyles look natural and unstructured. Like, you could have possibly done your hair yourself. But you couldn’t possibly do your hair yourself, ya know? 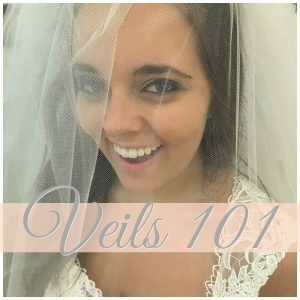 One of our favorite ponytail styles for weddings involves an inverted twist. Remember the “topsy tail” from years ago? 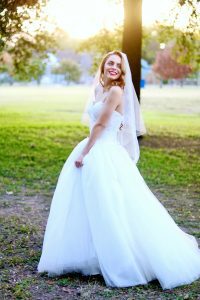 This style incorporates the inside out technique but updates it to a beautiful bridal-worthy version. This is an effortless-looking style, which looks awesome with the addition of a few twists. The Bouffant & Beautiful Ponytail uses expert styling for a modern take on a classic, vintage hairstyle. We love the high hair at the crown contrasted with a simple ponytail. A gorgeous headband doesn’t hurt things either! We adore this edgy Bouffant & Beautiful ponytail that Nicole Kidman is rocking. This style also looks amazing with some sideswept bangs. We hope you found some ponytail inspo! 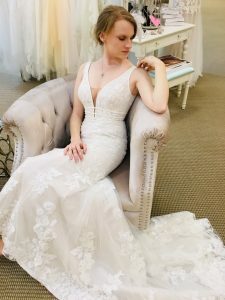 And next time you are pulling your hair up in an elastic we hope you remember that your standby hairstyle can be transformed into a stunning, bridal-worthy design on your wedding day.